As Guy has noted, McConnell's Garland strategy was hardly unprecedented. Yet, at least two people vying for the 2020 Democratic nomination, Sen. Kirsten Gillibrand (D-NY) and South Bend, Indiana mayor Pete Buttigieg, have voiced support for the plan. Republicans plan to fight back. Legislators from both the House and the Senate are prepared to present an amendment to keep the Supreme Court status quo. "This Thursday, I will be introducing a constitutional amendment that would limit the number of Supreme Court justices to 9 - the number of seats since 1869," Rep. Mark Green (R-TN) noted on Tuesday. "The Supreme Court must remain a fair and impartial branch of government not beholden to party. Schemes to pack the court are dangerous to the Founders' vision of an independent judiciary that serves as a check on both the Executive and Legislative branches of government." 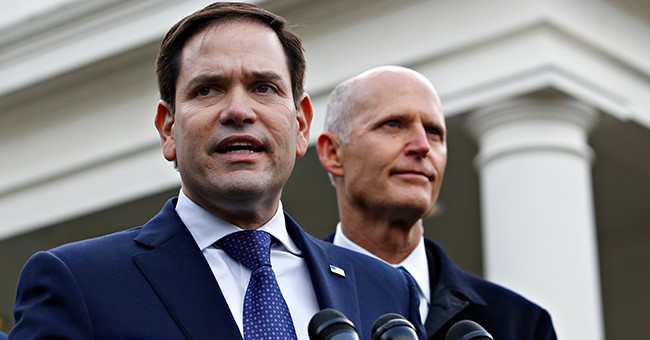 Sen. Marco Rubio (R-FL) explained in a Fox News op-ed why he's leading the charge in the Senate. "Court packing is quickly becoming a litmus test for 2020 Democratic candidates as this ugly, winner-take-all rhetoric gains prominence in progressive circles," he regrets. The Supreme Court as of late has made progressives worry. Just on Tuesday, the justices overturned a a Ninth Circuit Court of Appeals ruling, granting the Department of Homeland Security legal authority to detain illegal immigrants after they have been through a court hearing.